Barcelona map is studded with numerous emblematic casas modernistas. Sumptuous Barcelona modernist buildings with exquisite main entrances, built by renowned Catalan Art Nouveau artists along Rambla Catalunya or Passeig de Gracia are a pleasure to the eyes of those who take the time to stop and snoop inside. This modernist house is a good example. You can find it at Rambla Catalunya near Gran Via de les Corts Catalanes. 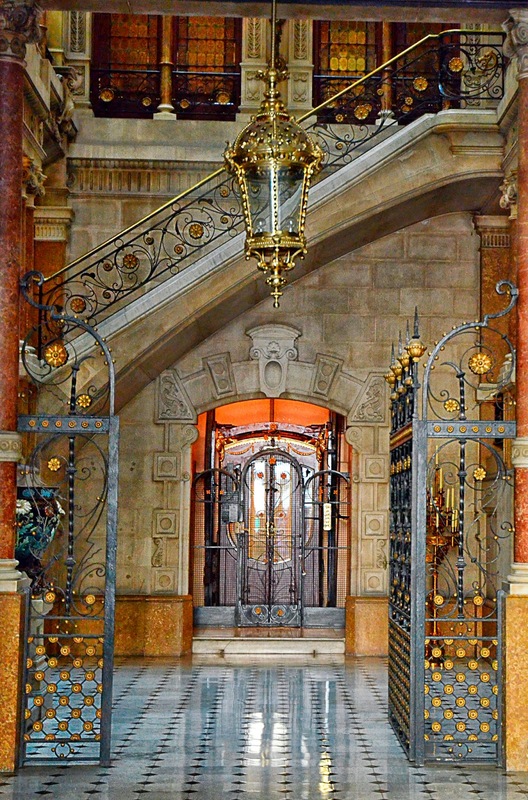 That polished floor, the elaborate ironwork and the old elevator so well preserved, make you feel as if you were traveling in time somehow. Here is a list of modernist houses to start your tour or check this previous post: Modernist Building, Rambla Catalunya 61 next to Arago St.